Who cares about open space? Survey saysâ€¦ Everyone! Upper Valley residents of all ages, incomes and backgrounds feel strongly that land should be conserved. A poll conducted for UVLT by the UNH Survey Center found that 95% of Upper Valley residents believe open space is important to their quality of life. Interestingly, people who rent rather than own their home, and those with lower annual incomes are more likely to feel that land conservation is vital and urgent. These survey findings fly in the face of the notion that land conservation benefits only those people who own land. Click on the link for the full survey results to see a breakdown of all of the words used by respondents. The survey results offer strong support for UVLTâ€™s work and the efforts of local conservation commissions. Particularly in tough economic times, policymakers tend to argue for â€œbalanceâ€ that weighs open space and environmental investments against other public needs. Yet, Upper Valley respondents overwhelmingly expressed how the land around them is fundamental to their well-being. 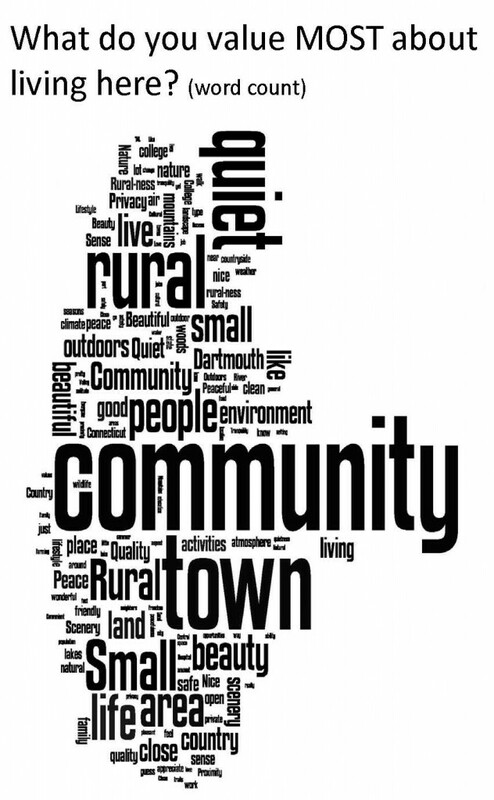 When asked open ended questions about what they like best about living in the Upper Valley, most respondents used words like â€œrural,â€ â€œpeaceful,â€ and â€œcommunityâ€ to describe their values. The majority of those polled felt that protecting land, water and wildlife habitat is critical to our economy and helps local businesses. Nearly three-quarters of respondents said they would be likely to vote in favor of an article to conserve open space in their town, and a majority said they would likely make a personal financial contribution to support a conservation project. UVLT has posted a summary of the survey findings here.Â The UNH Survey Center is an independent academic research organization and a division of the UNH Carsey Institute. The survey was conducted by phone interview with 434 randomly-selected Upper Valley residents. The margin of error is 4%. For more information about the survey, please contact Jeanie McIntyre. https://uvlt.org/wp-content/uploads/2014/02/logo_banner221.gif 0 0 Jeanie McIntyre https://uvlt.org/wp-content/uploads/2014/02/logo_banner221.gif Jeanie McIntyre2013-04-24 13:00:562013-12-21 16:24:09Who cares about open space? Survey saysâ€¦ Everyone!